Save on your next fill-up at Marathon! We know that gas prices are always fluctuating and sometimes it can be difficult to keep your gas tank full. Our friends at Marathon know that too and want to help out in any way they can. 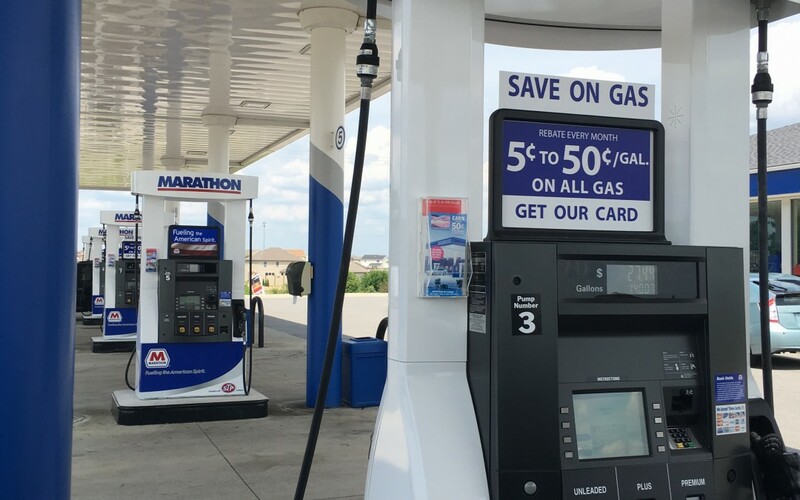 Visit any participating Marathon station in Fort Wayne and take our coupon with you for an additional 3¢ off per gallon (be sure to read the terms on the coupon to ensure savings)! No need to spend 100’s of dollars at a grocery store to earn these savings, just follow the directions on the coupon and present it to the clerk! With 16+ different locations in the Fort Wayne area, it shouldn’t be difficult to find one. Happy Savings, Fort Wayne!